NO WAY OUT: Mayweather v. McGregor is ON!!! 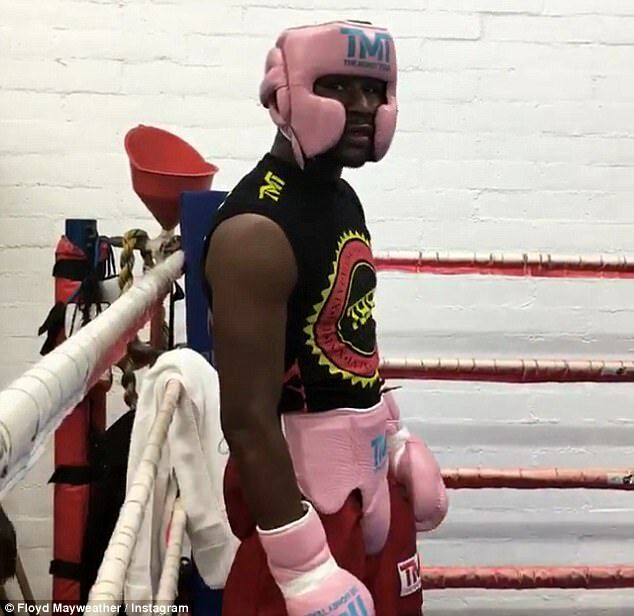 After a date was finally agreed for Floyd Mayweather’s hotly-anticipated fight with Conor McGregor, the American boxer has been quick to get back in the ring. 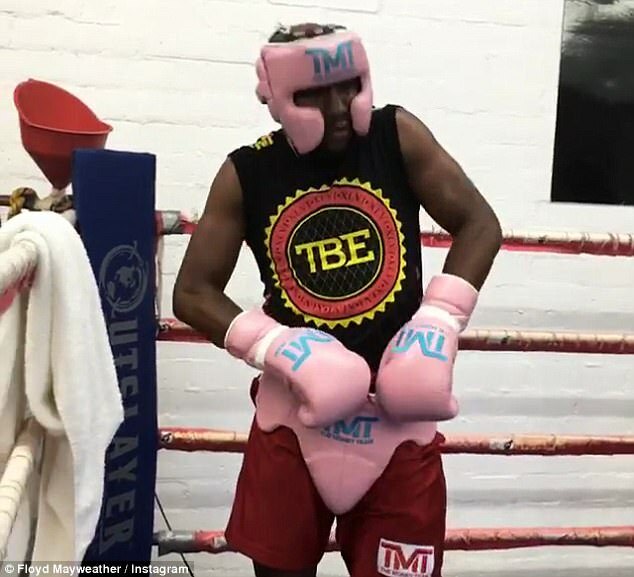 Mayweather took to Instagram on Thursday to let his 15.6 million followers know what he is now up to since the big news broke. And his fans will be pleased to know that the 40-year-old is ramping up his preparations ahead of what will be one of the biggest sporting events ever staged. 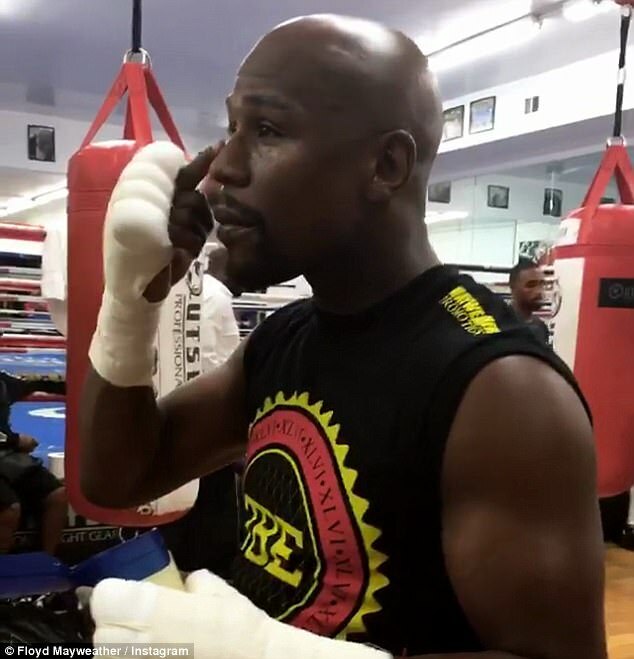 In Mayweather’s Instagram story, he can be seen applying Vaseline to his face before stepping into the ring for a sparring session while donning pink gloves and headgear. Mayweather and UFC star McGregor will face off at T-Mobile Arena in Las Vegas on August 26, with the fight scheduled for 12, three-minute rounds. 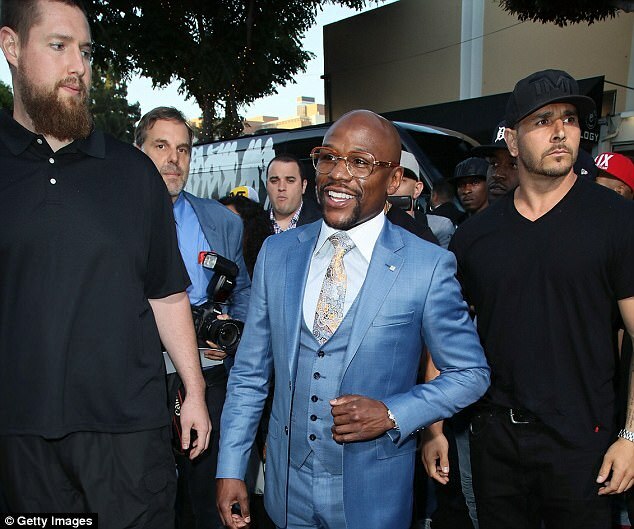 Former multi-weight world champion Mayweather is on a minimum certainty of $100million (£78m) for the bout, plus the upside on high sales by Showtime, the major US cable network. 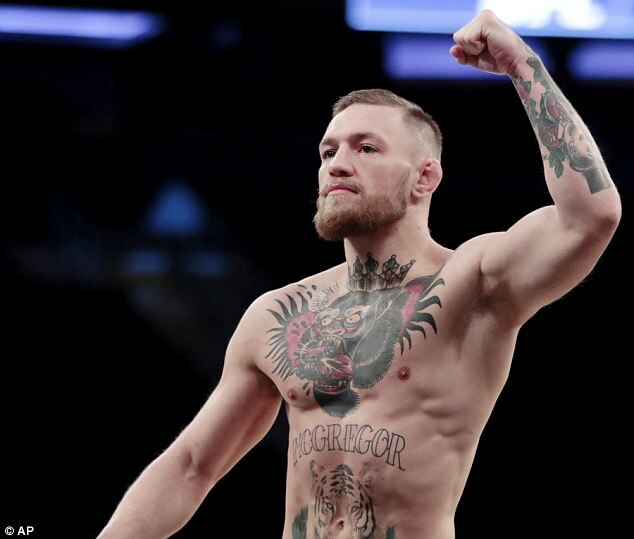 McGregor’s share of the bounty is thought to be in the region of $80m (£62m) but a percentage of that will go to the UFC, his paymasters in his customary field of action mixed martial arts. The American was pictured arriving at the premiere in Los Angeles, wearing a crisp blue suit, glasses and brown shoes. 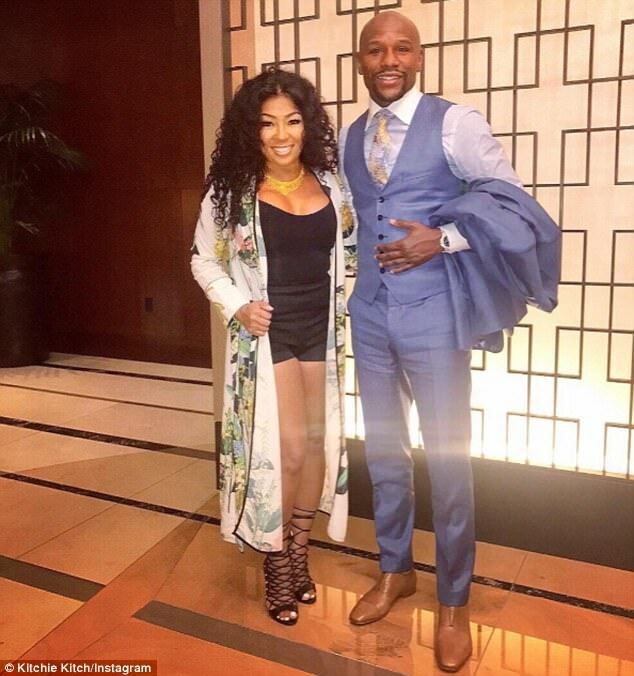 Also, Mayweather’s personal assistant, who goes by the name of Kitchie Kitch on Instagram, took to social media to upload a photo of the pair enjoying their time at the premiere.